This page is devoted to present a list of past initiatives I have been involved with, and relevant links as available. It is pretty lengthy, so feel free to jump around using this intra-page navigation. Experienced instructional designer/educational technologist with unique professional and educational background, currently working as a Learning Experience Architect and Online Instructor. Competencies include online learning development, strategic planning, project management (from conceptualization to delivery: graphic design, web design, promotion, event planning, and event coordination), and technical writing. Interests include, but are not limited to, faculty development, open education, personal learning networks, social media, synchronous and asynchronous learning systems, interface and system design, web 2.0 technologies, communities of practice, learning spaces, and teaching. If you’re interested in a condensed version of this page, please download my resume (PDF). Synchronous communication platforms: Google Hangouts, Skype, Adobe Connect, Zoom. Graphic design software: Illustrator, Photoshop, InDesign, SketchUp. Web design and multimedia: Audio and video recording, Dreamweaver, iMovie, Adobe Acrobat, Audacity, Windows Movie Maker. University of Delaware, Newark, Delaware, USA. Université Laval, Quebec City, Canada (Faculté des sciences de l’administration – AACSB accredited). Bachelor’s Degree in Graphic Design (2000), Université Laval, Quebec City, Canada. Develop technological and pedagogical solutions for Bisk clients (higher education institutions) related to their online learning environments and practices. Heavy focus on Instructure Canvas and LTI third-party tools, but also involved with D2L Brightspace. Technological and industry watch. 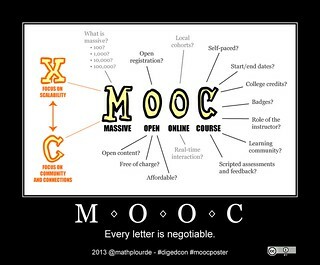 Online learning emerging practices. Accessibility (ADA compliance). Develop and teach an online course titled “EME6613 Development of Technology-Based Instruction”. This online course is focused on technologies for teaching online in higher education. Develop and teach an online course titled “EME6073 Online Teaching and Learning”. This online course is a survey course about teaching online in higher education. Explore ways to enhance our service offering, including the Instructure Canvas LMS deployment, advocating for the use of open educational resources, and exploring alternative/open textbooks. Manage, design, deploy, and assess the deployment of hybrid and online courses for the Doctor of Nursing Practice. Developed a Canvas style guide. Lead the Sakai deployment initiative at the University of Delaware by coordinating the efforts of a team of eight people with various roles: instructional design, portfolio design, training, documentation, helpdesk support, deployment, and code customization. This also includes phasing out our previous LMS, WebCT 4.1. Provide technical leadership regarding an e-portfolio initiative led by the Center for Teaching and Assessment of Learning (CTAL). Participate in various faculty and staff development events, including faculty institutes (Winter and Summer), IT-related training sessions, and guest appearances in courses and other events on campus. Direct supervision of three full-time professional staff members and other managerial tasks. Engage in various communication initiatives to keep all stakeholders and peer institutions aware of the progress and plans of our Sakai deployment and electronic portfolio initiatives. Faculty consultation, troubleshooting, and training on centrally-supported teaching and collaboration tools at the University of Delaware. Gather and share faculty practices worth replicating in various formats (screencasts, text, video, audio). Report back our local priorities and use cases to the Sakai community through various groups, communities, and events. I got mostly involved with the Teaching and Learning Group and the Content Authoring initiative. Keep up with “hot topics”, including using wikis in education, e-portfolios, videoconferencing, podcasting, tablet PCs, visualization, and other web 2.0 services, intended for deployment, training, and investment decisions. Organized the 2009 Winter Faculty Institute, a day-long event targeted at faculty members to improve their teaching skills using technology. The event included a keynote address, faculty showcases, a technology-enhanced poster session, and breakout sessions. Develop instructional design projects within the FSA using university financial resources, assist professors with writing their grant proposals, and manage the projects that are accepted. Advise professors regarding their educational strategies using information technology for both in-class ubiquitous computing and distance learning. Design and develop learning objects using different technologies, including video and audio sequences, Flash animations, and PDF documents, which are diffused on different supports (CD-Rom, DVD-Rom, streamed, and on course websites). Assist faculty with the use of virtual classroom systems (Elluminate Live and Breeze Live). Work as a subject matter expert in projects in the field of strategic business management. Provide in-class and personalized training to teachers and students regarding teaching strategies using information technology. Prepare reports on “hot topics”, including distance learning strategies, e-portfolios, anti-plagiarism systems, LCMSs, synchronous events, videoconferencing, podcasts, clickers, Tablet PCs, interactive boards, and others, intended for strategic investment decisions. Designed the main course infrastructure that is used in more than 200 different courses (including 90 distance learning courses) on WebCT using my knowledge of website graphic interface design and usability. Performed needs analysis, design, development, and testing of various web applications and of the official website of the FSA that was online from 2003 until Fall 2006. Participated on the Organizing Committee of the 2002 International IBM ThinkTank (a conference targeted at academic institutions with compulsory computing programs) as Assistant Coordinator of Website Design and On-site Logistics. Attended training sessions with eLearning gurus such as William Horton and François Ronaï and conferences (IBM ThinkTank, eLearning Guild events and local IT and e-learning related events). Improved the website of the Consumer Behavior undergraduate course. Collected and analyzed data from a satisfaction survey about the compulsory laptop computer program at the undergraduate level. Transferred all 19 e-learning courses of the FSA from the Virtual-U platform to WebCT. Designed the logotype of the technology-support unit (Parc APTI). Advised faculty regarding the use of technology. As an open-source project, Sakai requires participation from its users and members. From the get-go, I got engaged in the Teaching and Learning group, a community of educational technologists interested in best practices using Sakai. In 2009, I was named a Sakai Fellow for my contributions to the Sakai community. From 2009 to 2011, I have been involved in the Sakai annual conference committee, helping with the social media promotion, logistics, and video recording and streaming of the sessions. I was invited to act as an external reviewer for the Centre de recherche informatique de Montréal, an applied research center in the information technologies located in Montreal, Canada, for my expertise in social media and open-source software. Zone Université Laval, Laval University, Quebec City, Canada. Attended board meetings and made strategic decisions regarding the student cooperative, a student-owned book store that generates annual revenues in excess of $25 million. Served as a member of the Sponsorship Committee that evaluates the sponsorship requests addressed to Zone Université Laval. In 2005-2006, more than $55,000 awarded to multiple student projects and unions on campus. Graduate Student Association, Laval University, Quebec City, Canada. As chief event planner of this $150,000 budget project, managed a team of eight assistants and 30 volunteers who were responsible for welcoming MBA students from across Canada (14 universities, 473 participants) for a three-day academic, sporting, and spirit competition that took place in Quebec City from January 14 to 17, 2005. Journal Le Mercure, Laval University, Quebec City, Canada. Began as a graphic designer but rapidly took on more responsibilities, eventually becoming Editor-in-Chief and Executive Director in early 2002. Convinced the Board of Directors of the Undergraduate Student Association to replace the paper version of the newspaper with one that was fully online. Designed the interface and programmed what became one of the first and most popular online newspapers of the Laval University campus. The Journal Le Mercure won two prizes in an evaluation of all student projects at Laval University in 2003 (Best Media and Best Website).